There is actually a whole market where you as a Smart Pascal developer can use your skills to deliver top of the line products. A market where archetypical languages like C++ and Delphi makes less sense. IOT is about adapting to technology quickly, pivoting on a dime, connecting hardware together in new and exciting ways. In such a market script engines makes more sense than heavy-duty native languages. 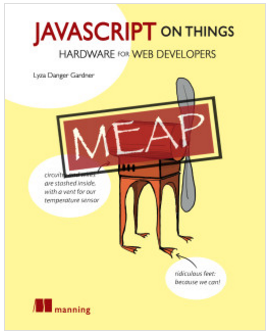 But naturally, you need to get a book on node.js and Espruino to know how to use these project-types properly. But they are all there and once you get into node.js and what you can do, the world really is your oyster. We are working very hard on getting the next version of Smart Mobile Studio ready for x-mas. While there will be bug fixes to the IDE (and a few new features as well), this update is primarily an update for the RTL and run-time library. We have tried very hard to keep things compatible with previous versions, but there will be changes that requires a bit of editing. But believe me, it will be worth it. Stay tuned for more in-depth look at all the new classes and the features they provide. (*) the statements and articles on Jon’s personal devlog is not affiliated with this company. His blog is a personal blog which covers a variety of topics. I look forward. “this update is primarily an update for the RTL and run-time library”. I always thought RTL stood for “run-time library” :).